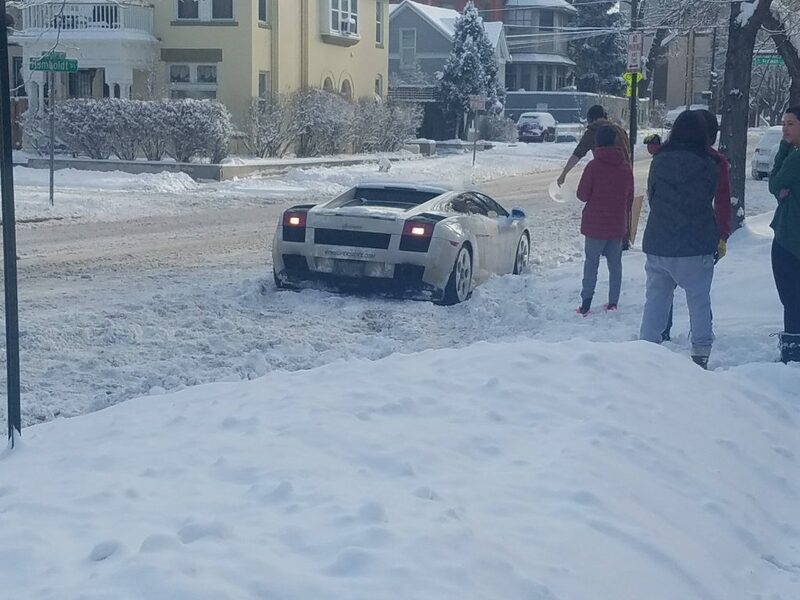 This photo is going viral of a Lamborghini stuck in a Colorado snowstorm. The person who took the photo said they were awakened by a loud sound of an engine revving. When the person went outside they were surprised when they saw a Lambo stuck in the snow gunning the engine trying to get unstuck. The person who took the photo said they spoke with the driver of the Lamborghini and the driver told them they were from California and just visiting in Colorado. Check out the photo below.